Before learners can participate in an exercise, you must invite or add them to your group. 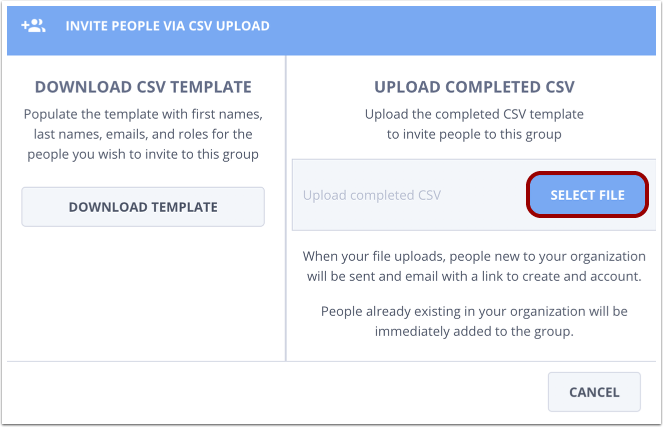 You can invite learners to your group by providing them with a link to the group, by emailing them an invitation to the group, or by uploading their email addresses via CSV file. Note: The group link should only be shared with learners. Reviewers and instructors should be invited to the group via direct email invitation or CSV file. To invite learners to your group, navigate to the group page and click the Edit Group button. 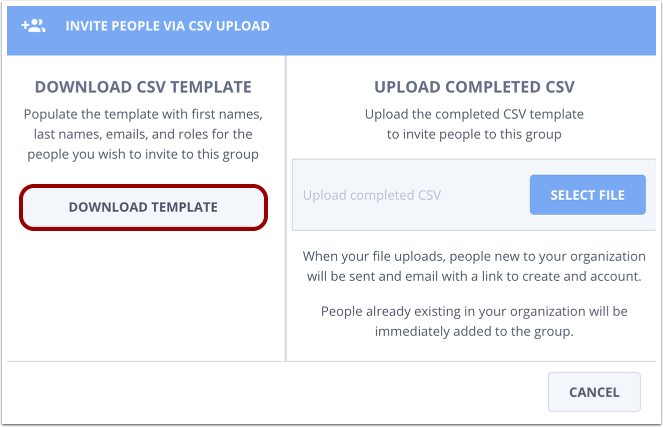 To invite learners to your group using a CSV upload, click the Invite Group Members Via button  then click the CSV Upload link . Click the Download Template button and save the template file to your computer. 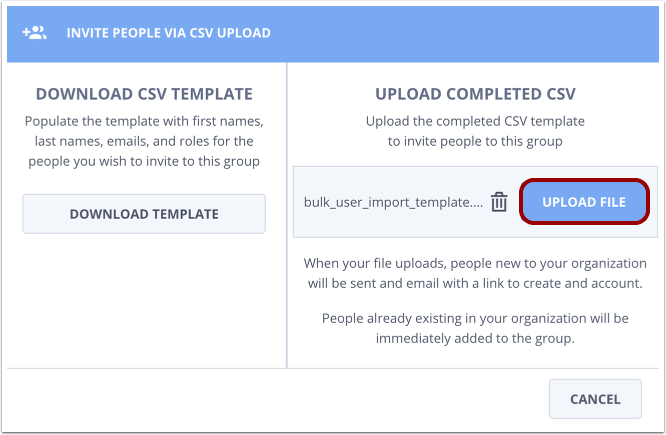 Open the CSV template file on your computer and populate it with first names, last names, email addresses, and roles for the users you want to invite to the group. Save the populated template as a CSV file. Click the Select File button and select your saved CSV file. Click the Upload File button. 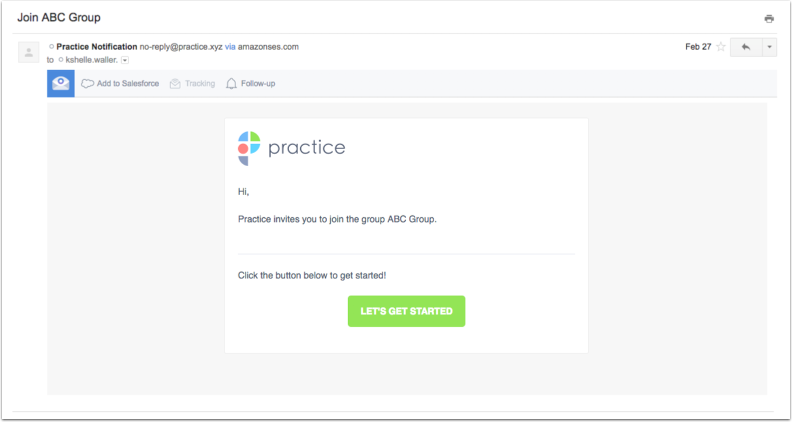 You will receive an email confirmation when your group invitations are complete. 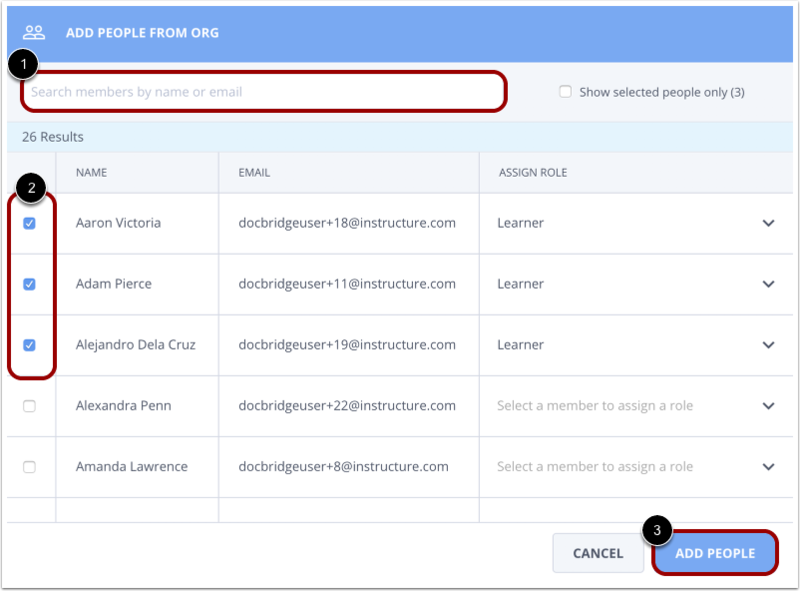 Note: If no group role is specified for a user in the CSV file, the user will automatically be assigned the Learner role. To invite learners to your group with a link, click the Invite Group Members Via button  then click the Registration Link (Learners Only) link . Click the Copy button  to copy the link to your clipboard. Then click the Close button . Share the link with the learners you would like to invite in your group. Note: New users will automatically be assigned a learner role when creating an account via the learner registration link. To invite learners to your group via email, click the Invite Group Members Via button  then click the Email link . To invite learners via email, click the Assign a Role menu arrow , then click the Learner link  from the drop-down menu. Type the email address and full name of the learner you would like to invite in the Email Address and Full Name fields . Click the Invite button  to send the invitation. The learner will receive an email with the subject line Join [GROUP NAME] Group which contains a link to your group. 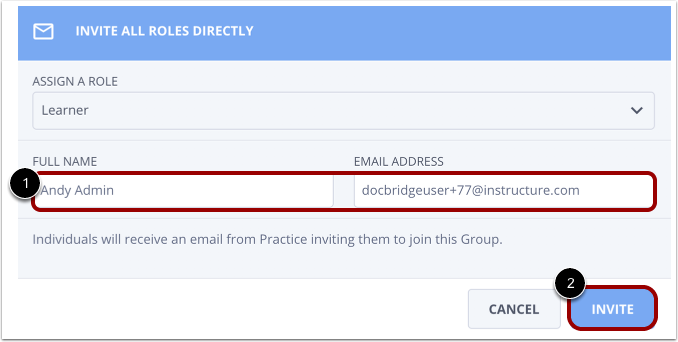 To invite learners that are already part of your organization to your group, click the Invite Group Members Via button. Click the Org Member List link. You can search for specific organization members in the search bar  or browse the user list results. Click the corresponding checkboxes  next to the learners you would like to add to the group. When you click the checkbox, the user is automatically assigned the learner role. Click the Add People button  to add the selected users to your group. Learn how to remove learners from your group. Previous Topic:How do I copy a group in Practice? Next Topic:How do I invite instructors to my group in Practice? Table of Contents > Groups > How do I invite learners to my group in Practice?